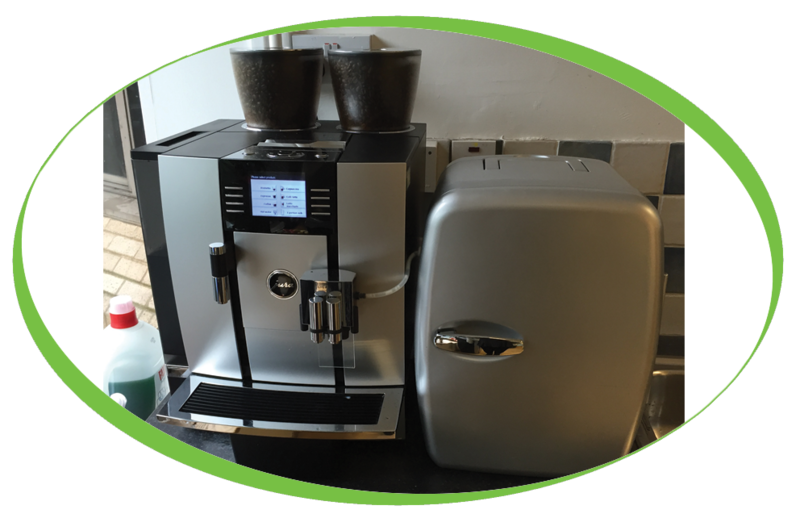 We began trading with Amadeus Capital back in 2009, they first purchased a Jura X9 with a chiller unit and began serving simply, great coffee to their staff. This small yet powerful machine produced multiple drinks day after day until 2012 when Amadeus capital upgraded to a brand new Jura X9. In 2014 Amadeus Capital upgraded their machine again to a Jura Giga X7, while the Jura X9 is in itself an ideal machine for a busy workplace, Amadeus capital chose to go for the Giga X7 for its capability of producing 200 cups/day, incredibly easy to operate and offers a wide range of coffee specialties, from perfectly crafted espresso and ristretto to stylish latte macchiato at the push of a button. Regardless of the machines that have come and gone, Amadeus Capital have chosen the same coffee over and over again, our Caffe Espresso Gourmet beans, with a velvety mouthfeel and sweet dark cocoa notes in the aftertaste, it is pleasant as an espresso or in milk based drinks in particular Cappuccinos and Café Lattes to power through a long day.